More morning news regarding the Penguins as the season ticks closer and closer. This time around it seems Kaspari Kapanen may be on the move while Malkin is back to moving. Kasperi Kapanen on palaamassa kotimaiseen jääkiekkoliigaan ja kasvattajaseuraansa KalPaan. Kapasella on kolmen vuoden sopimus NHL-liigan Pittsburgh Penguinsin kanssa, ja hän haki pelipaikkaa Penguinsin harjoitusleiriltä. KalPan urheilujohtaja Kimmo Kapanen myöntää Savon Sanomille, että Kapanen on tulossa Kuopioon. Hän ei kuitenkaan vahvista nuoren hyökkääjän pelaamista KalPassa. - Meillä ei sen suhteen ole vahvistusta Pittsburghin organisaatiolta, emmekä pysty vahvistamaan asiaa. Toivomme tietysti, että saisimme Kasperin vahvistamaan joukkuettamme, Kimmo Kapanen sanoo. 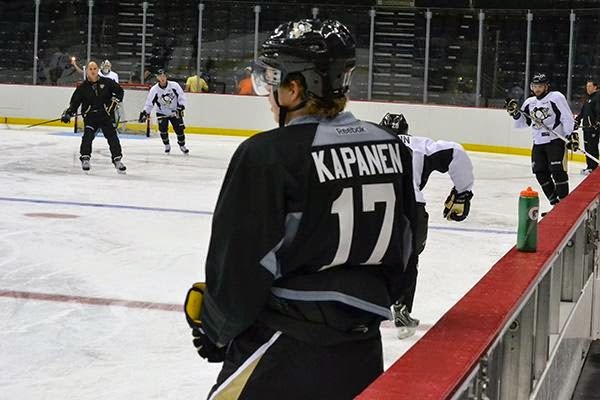 Kasperi Kapanen is returning to the domestic hockey league and been trained KalPaan . Kapasella is a three-year contract - NHL League with the Pittsburgh Penguins , and he took the game place Penguins in training camp . KalPa sporting director Kimmo Kapanen grant Savon Sanomat that Kapanen is coming to Kuopio . He did not , however, confirm the young attacker gaming KalPassa . - We do not have confirmation as to the Pittsburgh organization , we are unable to confirm this. We hope , of course , that we Kasper strengthen our team , Kimmo Kapanen says. 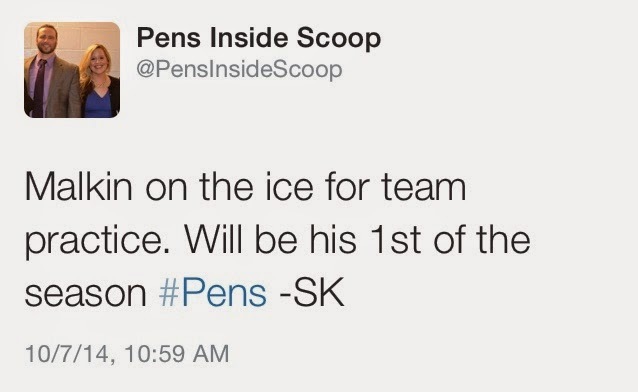 The link stresses that it does not have confirmation with the Penguins on this news so take it with a grain of salt until the team releases the relevant information. Kapanen was, however, absent from today's practice. Meanwhile here in the US Evgeni Malkin took to the ice for his first team practice of the year. 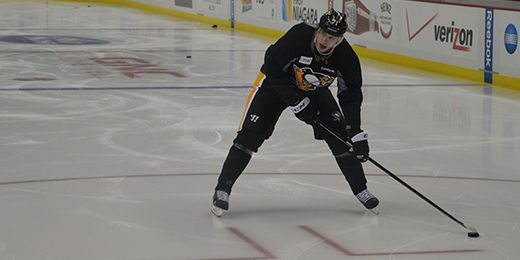 He spent his time on the ice looking sharp in the new retro practice gear. That's a good look, Geno. A real good look. 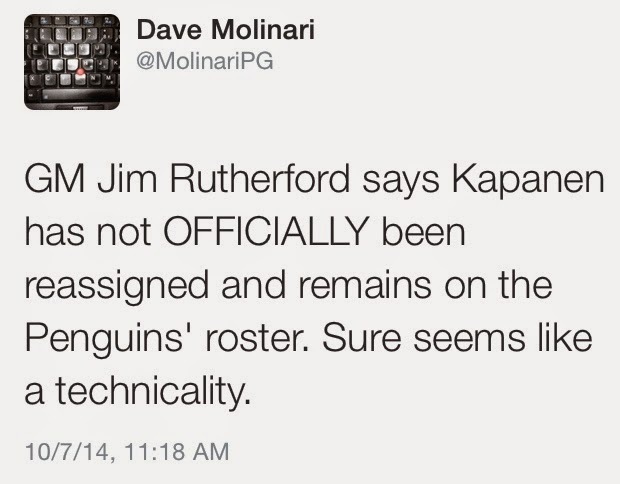 We'll have more information on Malkin, and Kapanen, as it develops. There are many games today that one can swing to either on the web or disconnected. The issue however is that every one of the amusements fluctuate in interest. The choice of the amusement that best meets ones taste could be the best choice to extinguish the wants. I find http://metalcasinobonus.fi/ this site for the best gaming , If you need you can visit this site.